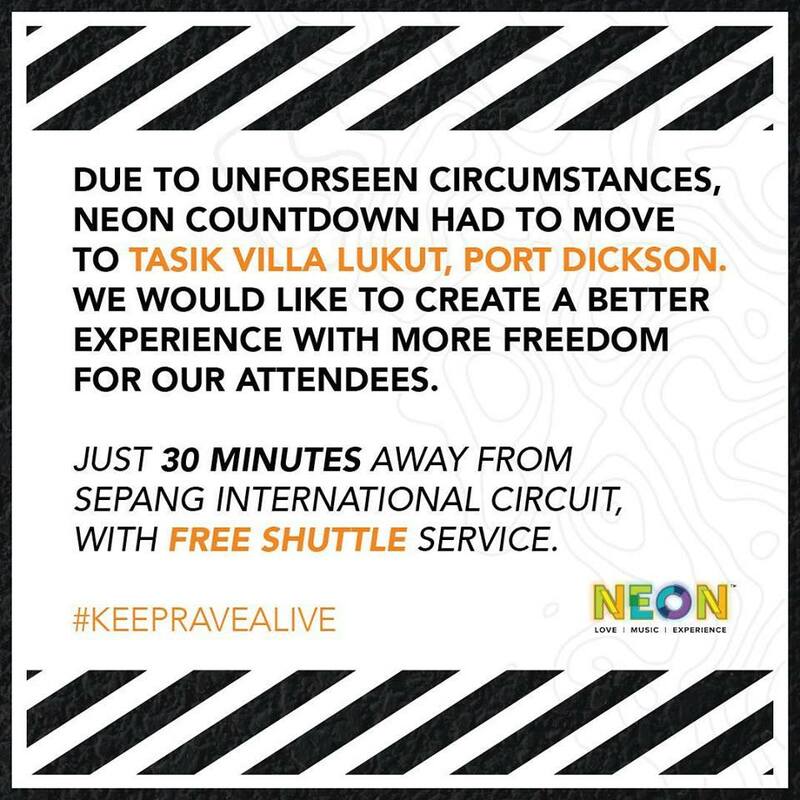 Neon Countdown Organisers Arrested After Claiming The Rave Was Just A "Cultural Event"
The organisers had applied for a permit with the police and the Port Dickson Municipal Council (MPPD) for a "cultural event". Six organisers of the annual Neon Countdown event have been arrested after telling Port Dickson authorities that it was just a "cultural event"
China Press reported that the Neon Countdown organisers had applied for a permit with local police and the Port Dickson Municipal Council (MPPD) by claiming that they were hosting a "cultural event" in Lukut, Negeri Sembilan, on 31 December 2018. "Police found that the program which happened on 31 December contradicts the one that was applied for by the organisers," Port Dickson district police chief Superintendent Aidi Sham Mohamed said, according to Utusan Online. Meanwhile, MPPD president Mohd Zamri Mohd Esa stressed that the rave organisers did not have a valid permit from the council, as the event had received protests from local residents and non-governmental organisations (NGOs). Zamri added that the council only issued a letter of support for the organisers to obtain a permit for the fireworks. According to New Straits Times, NGOs and residents argued that the rave contravenes "local culture that could cause moral problems". 30 Ecstasy pills, seven Erimin 5 pills, a bag containing one gram of Ketamine, and a marijuana joint were confiscated from the event, according to Utusan Online. Aidi said that five members of the public were also arrested before the event began after they were found acting suspiciously, reported Bernama on 1 January. "Urine test revealed that they were positive of drugs, and further investigations are being carried out," Aidi added. However, it was moved to Lukut three days before the event. "Due to unforeseen circumstances and rules and regulations, we had to move to Tasik Villa, Lukut," the organisers wrote in a Facebook post dated 28 December 2018. Aidi revealed that the police are probing the organisers under the Peaceful Assembly Act 2012 and the Dangerous Drugs Act 1952, reported China Press. He was later tested positive for morphine. The apology posted yesterday, 2 January, has gone viral with over 9,800 shares.